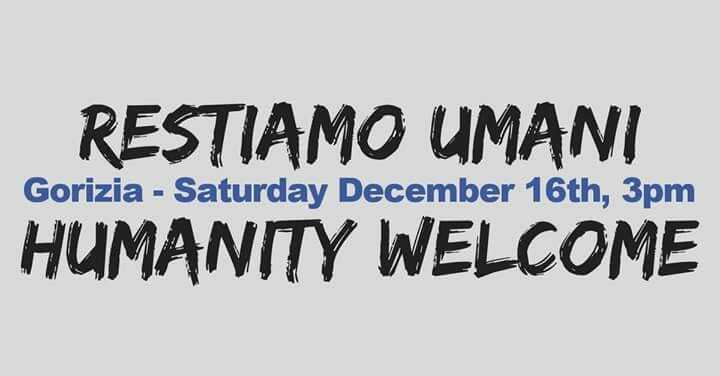 Home / Italy / Transnational Mobilization for the Rights of Migrants & Against Fascism on Dec 16: Humanity Welcome! Originally published by Rete Solidale Pordenone Facebook event page. Gorizia – Saturday December 16th, 3pm, Casa Rossa/Rusa hiša. Transnational mobilization for the rights of migrants and against fascism.